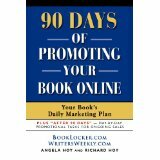 At BookLocker.com, I field questions from authors all day long, every day. Most of those are from authors who are considering using our affordable services. And, since we are selective about what we publish (we don’t publish anything and everything like the “other guys”), I’m happy to refer authors to other, good companies, as well as to warn authors about which firms to absolutely stay FAR away from. The fact is, if you have a book in print, a firm should never charge you extra for ebook cover design. If you encounter that, run away as fast as you can from that company. Ebook covers are super easy! At BookLocker.com, we simply crop the front cover from the print cover file, resize it, insert it into the ebook files, and post it on the ebook retailer websites. Some firms charge authors extra to do that but it literally takes less than 5 minutes to crop the front cover from the master print file. I gently explain to those authors that Amazon very rarely removes old book pages from their site because they allow firms to sell used books on those book pages. If it’s a used book, the publisher and, subsequently, the author, were already paid for that book. I suspect, since those are authors who have terminated their contracts, their publishers act like they can’t be bothered to respond to a perfectly sensible question. That’s a pretty dumb business decision because failing to explain something so simple can lead to accusations of theft and copyright infringement later. Do you have questions about self-publishing, or the publishing industry in general? Don’t understand what those annual fees are for? What is full distribution? What’s a print proof look like? Why is Amazon listing your book as “out of stock” when it’s very much alive? Can’t figure out what your royalties will be? Who’s the best self-publishing service for your needs? Who should you absolutely avoid? I’m very happy to answer these and any other questions for you. Sometimes, what the publisher is doing makes perfect sense. Sometimes, it’s a total rip-off. I’ll very gladly tell you my opinion about your situation. You can contact me RIGHT HERE. One Response to "Do You Think Your Publisher is Ripping You Off? I Might Be Able to Help! by Angela Hoy"
I normally work through lunch. Whether I’m painting or writing, I grab a bite here and there while I continue with brush, pen, or keyboard. However, on Thursdays, I take a “real” lunch break and make time to read the new edition of WritersWeekly. It’s always interesting, informative, and entertaining. Thanks!